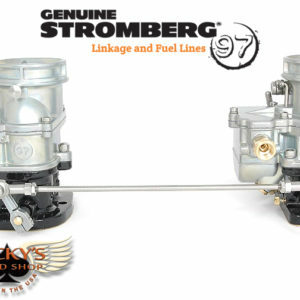 This Trim-to-Fit 4×2 Direct linkage kit adapts to a wide variety of applications and comes as a complete linkage from Back-bar to carburetors, including return springs. 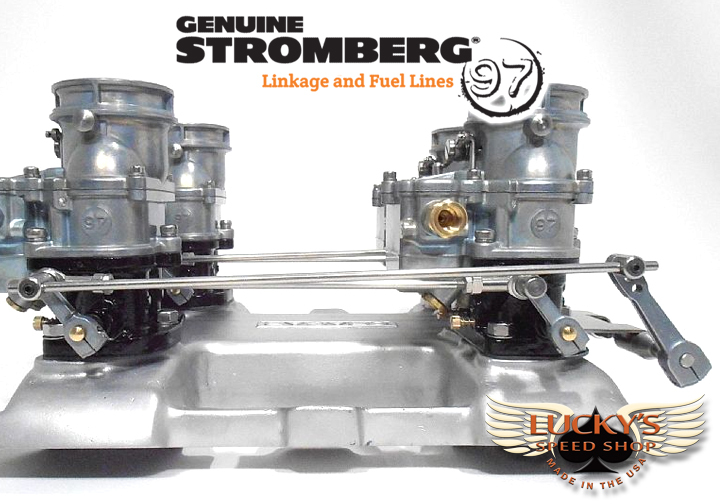 Designed and manufactured exclusively by Stromberg Carburetor, our multi-carb linkage kits change the game for quality, efficiency and looks. 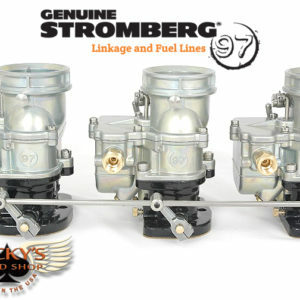 You’ll find comprehensive information on choosing and installing the right kits for your intake at the Stromberg online Tech Center. 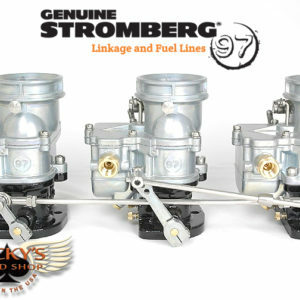 Each kit comes pre-assembled and installs in simple steps, without the need for extended throttle shafts. 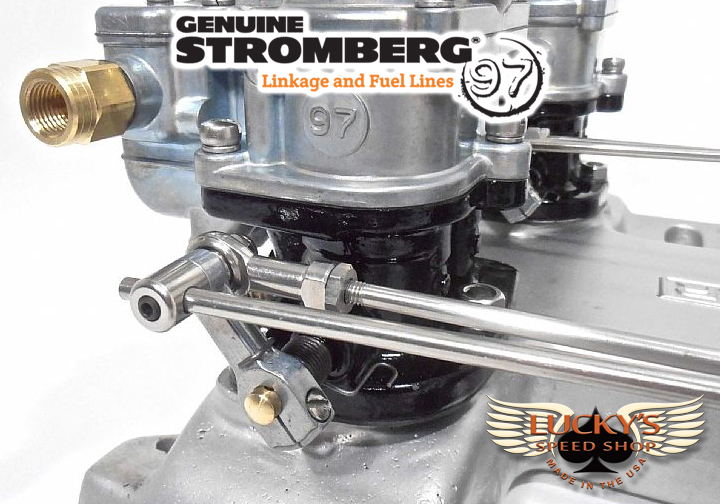 Every Stromberg TwoStep linkage kit comes with full instructions, of course, including how to measure your intake and ‘Trim-to-Fit’, including how to pin the levers to the Back-bar shaft. Two long Back-bar levers, with swivels, clamping screws and three top mounting points for flexible throttle response and leverage. Both levers are pinned to the shaft. Two stainless steel link rods between the Back-bar levers and the front carburetors, with swivels and rod ends. 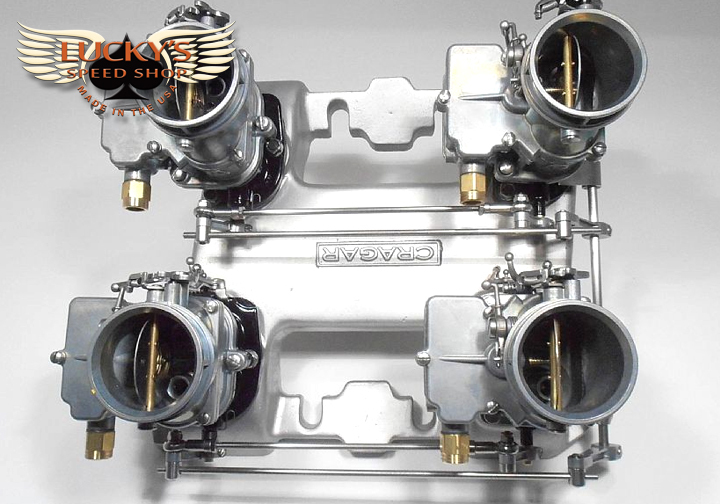 Four 9091K Superlink throttle levers with special swivels to mount the rod ends – plus two links to the back carbs. 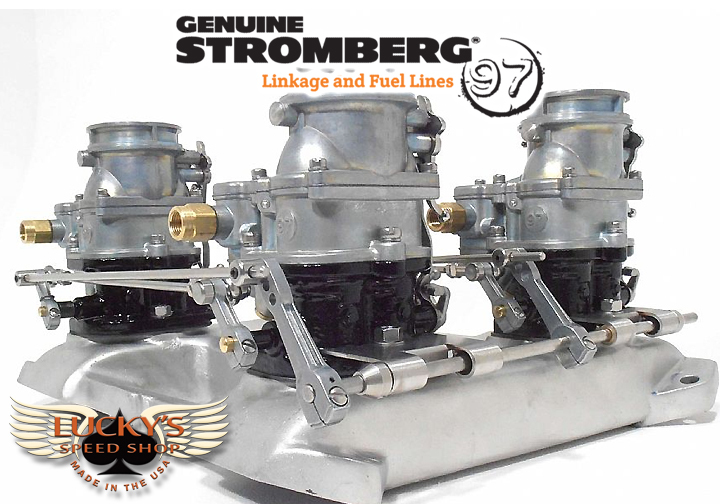 Stromberg recommends a mechanical pedal link for all multi-carb systems. 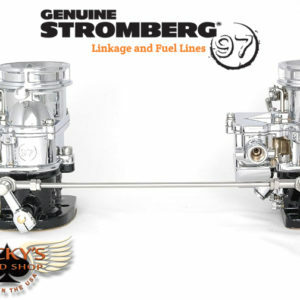 The Back-bar can be connected to the pedal via one of the two long levers supplied, or you can add a further long lever with Stromberg kit 9096K (Long linkage arm/swivel) which can be positioned anywhere along the Back-bar shaft to align with your throttle pedal ‘pull’ point. Complete with swivel, clamping screw and 3/32 inch roll pin, the extra lever can also be drilled and pinned to the Back-bar to ensure positive location.